When traveling to Jerusalem, one usually thinks of all of the holy places you should plan a visit to. However, this ancient city is not only known for its monuments, but also for its unique culinary experiences. The diverse melting pot of religions offers unforgettable flavors and high-end cuisine that will satisfy your taste buds. The best way to enjoy all of these great spots while visiting the city is to book a stylish vacation apartment so you can experience living and eating like a local. We have collected our top 5 must-visit eateries you should dine at while exploring Jerusalem. This is one of the oldest culinary establishments in Jerusalem. Caffit serves a Jerusalem-style Israeli menu, and we recommend trying their famous breakfast, that includes a mezze (a selection of small dishes) of cheeses, local vegetables, and unique Middle Eastern delights. Pro tip: ask to sit outside, as they are located right next to the Botanical Gardens, so that you can catch a glimpse of greenery while you tuck into your meal. This restaurant is located in a historic building in King David Street in Jerusalem. The Chef Yankale Turjeman lived in London and worked in modern European-style restaurants, and offers a creative menu using the best quality seasonal produce from local markets prepared in state-of-the-art methods. We recommend trying their tasting menu, as it will provide you with a wide variety of their unforgettable culinary experience, and definitely try their signature cocktails! This is a kosher restaurant serving upscale gourmet meals made with fresh regional produce. 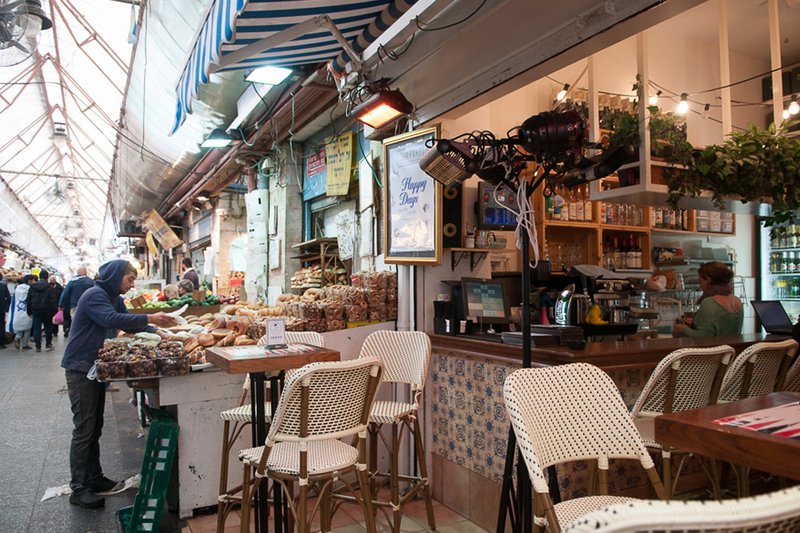 Since the restaurant is located in the Machaneh Yehuda Shuk (market), only the available seasonal ingredients are used. If you are looking for a place that you can have people watch and feel the bazaar vibe while eating a great meal, this is the spot for you! Yes, you are in the Middle East, but it doesn’t mean that you can’t have a great Italian experience! This excellent spot not only serves Italian food but also supports the local community. They collaborate with the Dualis Foundation and The Jerusalem Municipality and employ at-risk youth in their kitchen, truly important causes! We propose going for their lunch menu as it serves many delicious and satisfying options, one such being their Tartuffo Pasta, prepared of linguini, sage brown butter, mushrooms and truffle oil. This is THE most renowned and must-visit restaurant in Jerusalem. Located in the heart of Machaneh Yehuda Shuk, this exceptional establishment combines great food, upbeat music, and a vibrant atmosphere. With three Jerusalem chefs running the show, this foodies’ heaven offers a changing market-to-table menu with all the ingredients sourced from the surrounding market. Don’t miss out on this place if you’re in the area! Planning a visit to Jerusalem? Start with booking your stylish vacation apartment. Hey Tania, thank you for your feedback. We did not mention that our highlighted restaurants in this post are kosher only… Hope that you can still enjoy our recommendations.